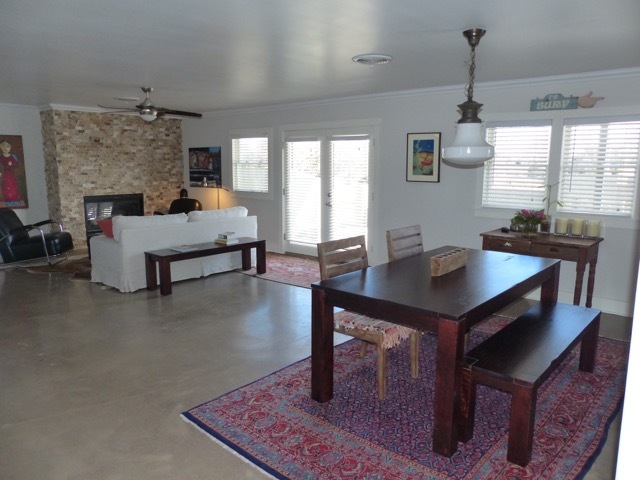 Totally updated turnkey mid century home located in one of the best areas in Marfa on almost a full acre. 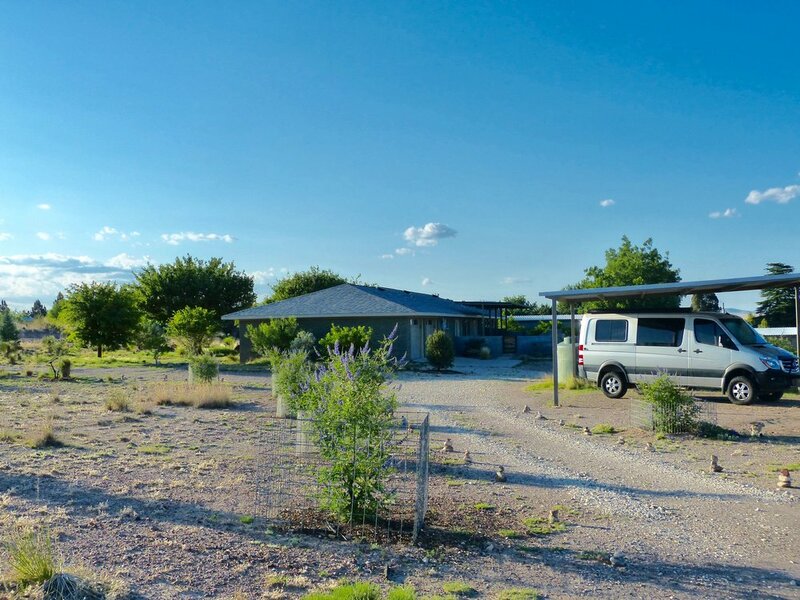 This house is situated on the westside of Marfa on a large parcel landscaped with native grasses and trees with great views of mountains and the plains. Walking into the house, there is a foyer leading into a sitting/TV room and into the main living space of the house. The floor plan is open, the living room and dining room next to each other and a very large chef's kitchen with two sinks, a Garland stove, all stainless steel appliances that is accessible to the dining room. Additionally, the living area and kitchen open up to an outdoor area featuring a gas powered fireplace with an outdoor dining area with views of the mountains and lovely shade trees and a terraced garden. The easterly orientation of the outdoor area allows it to be used well into the fall and winter months as it is protected from the westerly winter winds and has nice morning light exposure. The house has three bedrooms and three baths which have all been extensively renovated with European stainless fixtures and Italian tile. 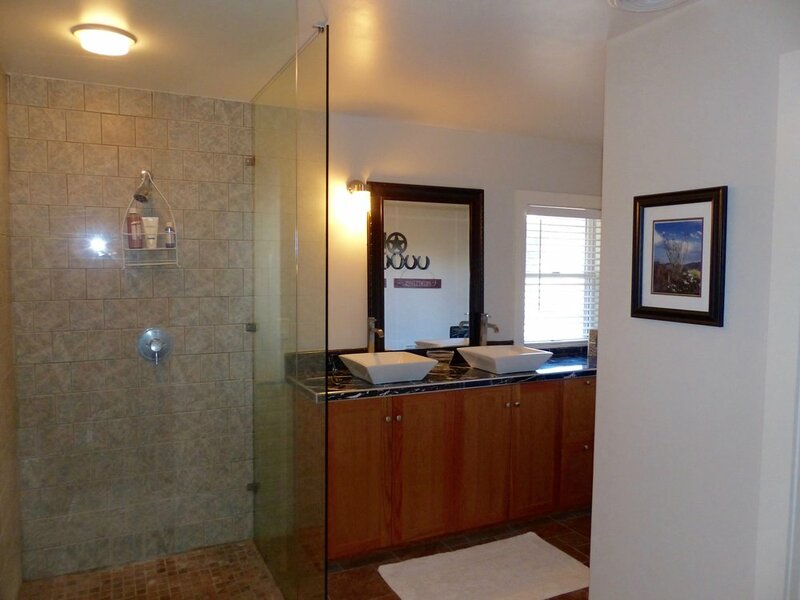 The master bath suite has two sinks and large closets. 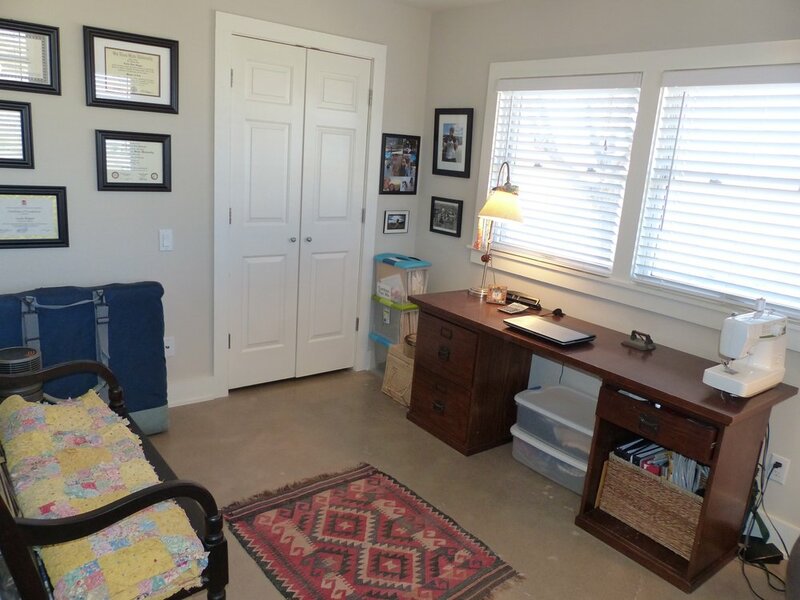 The rooms are quite spacious and feature thermopane windows that keeps the house energy efficient in addition to the newly installed and updated HVAC system. A two car garage with electric door opener leads to a utility room with a sink and washer and dryer as well as a pantry. The utility room opens into the chef's kitchen. 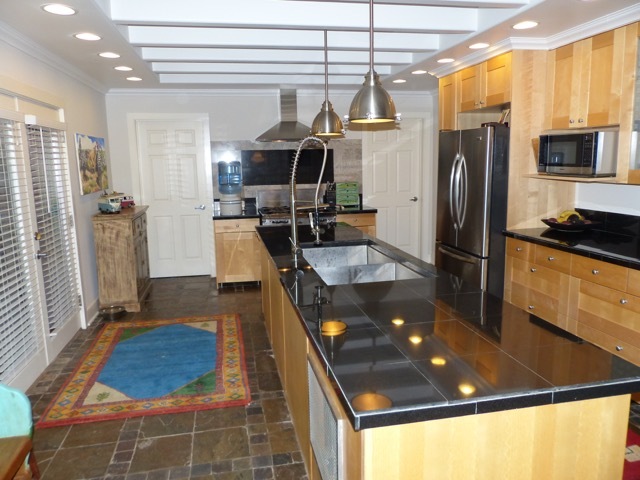 There are many cabinets and lots of storage in the kitchen as well. 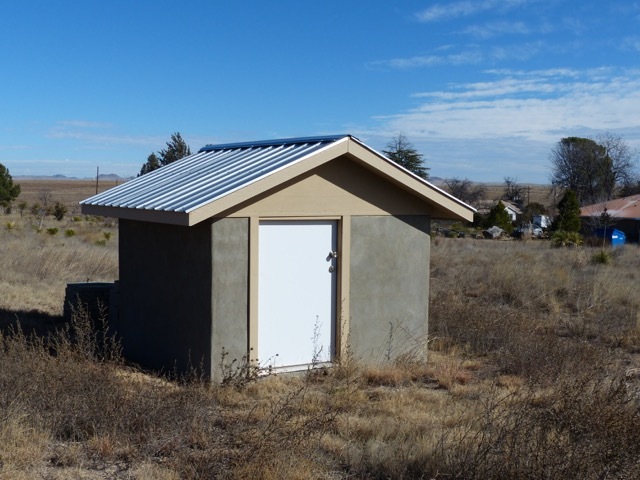 A well supplies the water for the property and is located in the well house next to a large detached carport on the southside of the property . This home has a wonderful floorpan that is perfectly designed for a family and for entertaining. 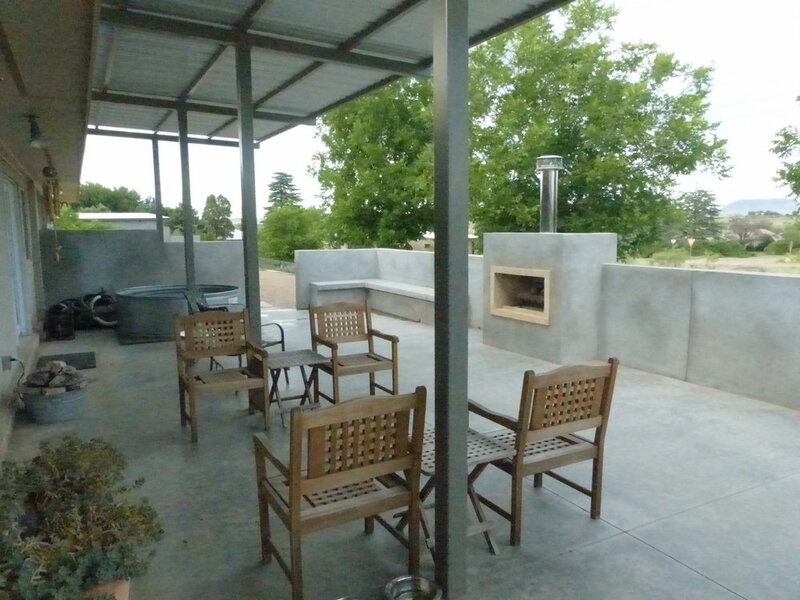 A wonderful get away in Marfa or as a primary residence. It is close to everything in town, yet far enough away to really have the essential experience of being in the unique desert landscape surrounded by the plains and mountains.